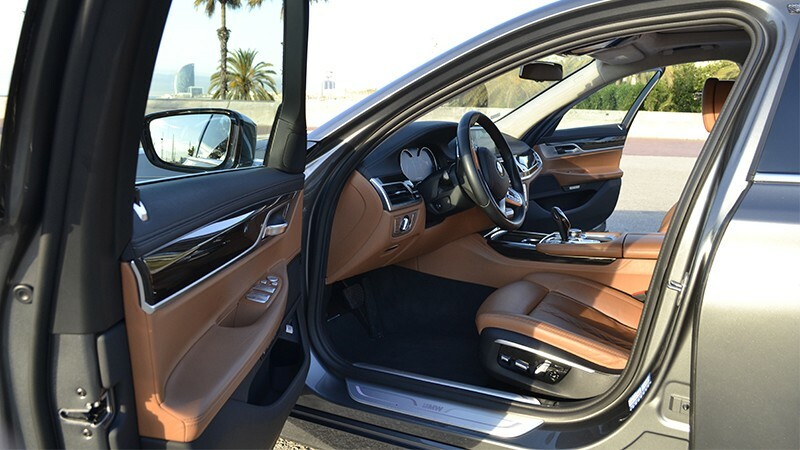 The BMW 7 Series is a vehicle with an elegant presence and authoritative character. It radiates a futuristic and powerful image with a heart formed by a highly efficient engine with extraordinary performance. Enjoy the feline prowess of its forward-surging front that roars like a big cat. The exterior of the BMW 7 Series stands out for its dynamic proportions and contemporary design that make it a modern car with precise lines and a powerful demeanour. This vehicle boasts active technology that guarantees a smooth and stable journey. Its interior oozes character with equipment to satisfy all your needs. Relax in its abundant space that ensures a quiet and comfortable trip. The ambient lighting highlights the qualities of its impressive interior and creates an irresistible atmosphere of relaxation and comfort.